I love the Commonwealth Games as it is where I ran my first marathon and it went pretty well with me bagging the Bronze medal. From there I followed up with a Silver and finally won Gold in Victoria, Canada in 1994. From those modest beginnings I have stayed involved with Commonwealth Games attending four, working as an athlete mentor in Manchester, being the Mayor of the Village at the Melbourne Games in 2006 and then as Chef de Mission in 2010, 2014, and at this year’s Games up on the Gold Coast. Having run my final marathon at the Olympic Games in Sydney, I know how special it is to compete in front of a home crowd and there is no doubt that it will be memorable for our athletes, their family and friends, as well as the volunteers and spectators. There will be new names introduced to the Australian sporting landscape as well as established competitors and teams delivering success for our nation. And we want to knock the Poms off the perch as the number one sports country in the Commonwealth, so bring it on. If you would like to know more about Steve, click here to submit your enquiry or contact us directly on 1300 55 64 69. 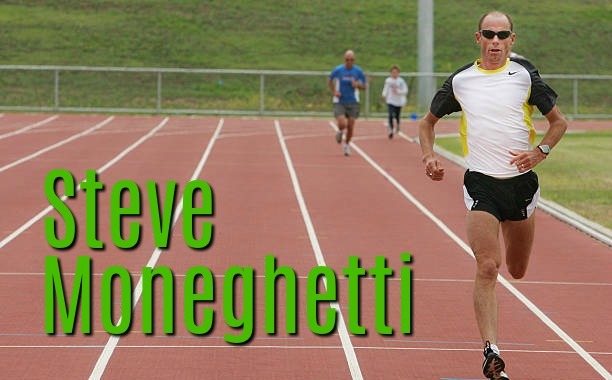 Steve Moneghetti exemplifies what is to be achieved through training, perseverance, planning, goals and aspirations. He has run 22 international marathons and finished in 11th place or higher in 20 of them. He retired after Sydney 2000 Olympic Games but still heavily involved in running within Australia.